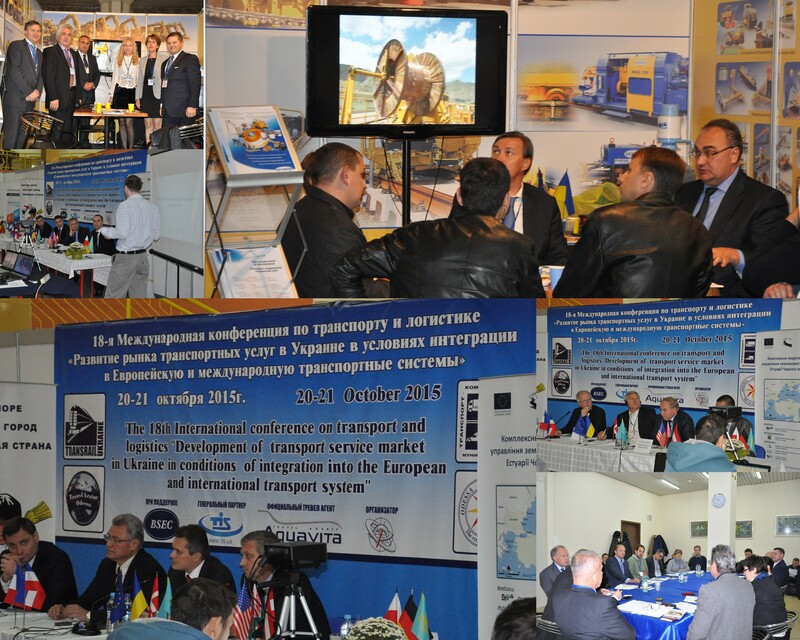 Conclusions of International Black Sea Transport Forum 2015 in Odessa. 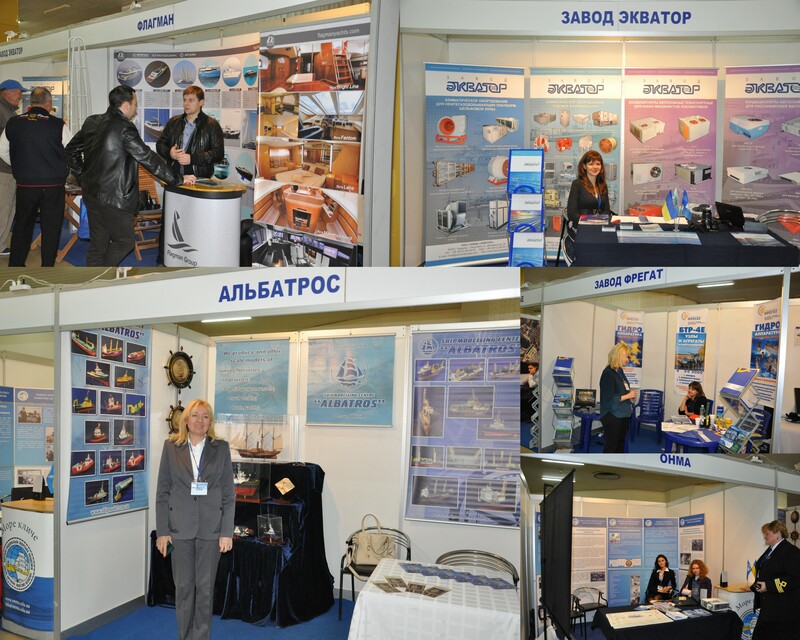 International Black Sea Transport Forum 2015: meeting place for transport and marine industry experts. 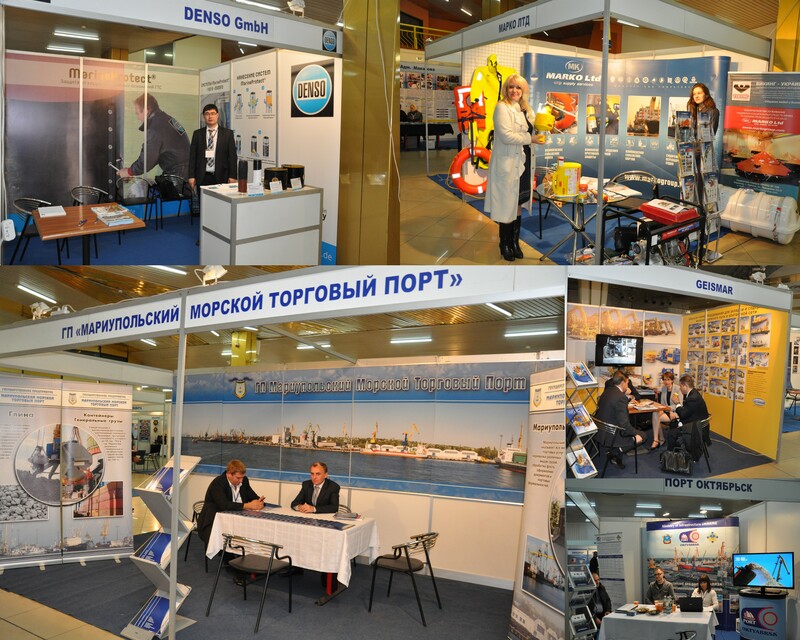 In October 20-22, 2015 in accordance with the Event Plan of the Organization of the Black Sea Economic Cooperation (BSEC) for 2015 Odessa hosted the International Black Sea Transport Forum 2015 comprising 18th international exhibition on transport and logistics ‘TransUkraine 2015’, international specialized exhibition ‘TransRail Ukraine 2015’, specialized exhibition ‘Commercial and Municipal Transport 2015’ as well as 12th international exhibition on shipping, shipbuilding and ports development ‘Odessa 2015’. 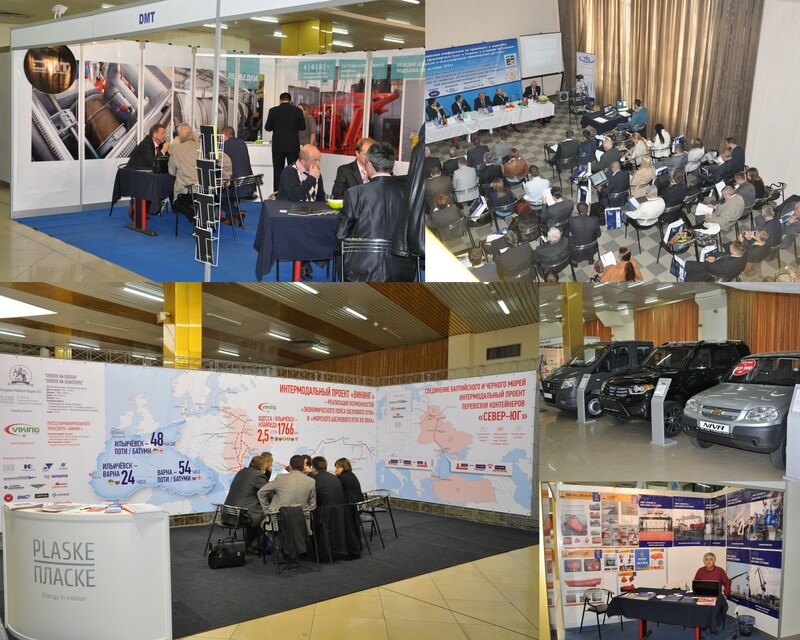 Within the framework of the Forum the 18th international conference ‘Development of transport services in Ukraine in the context of integration into European and global transport systems’ took place. The events of the Forum were coordinated by the Ministry of Infrastructure of Ukraine and the Black Seas Ports Association (BASPA). 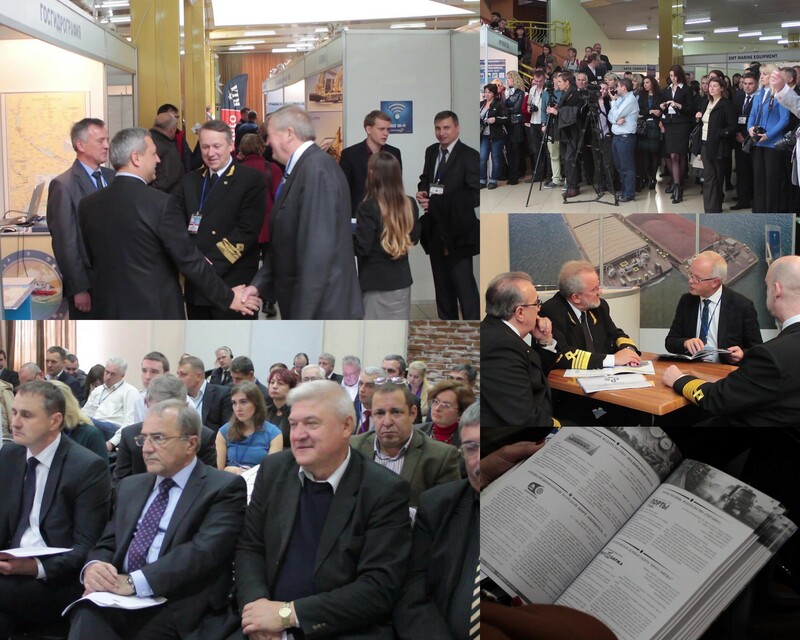 The events were also supported by: Odessa Regional State Administration, Odessa City Council, EU Mission to Ukraine, Black Sea International Shipowners Association (BINSA), Black Sea Region Association of Shipbuilders and Shiprepairers (BRASS), Container Lines Association of Ukraine, European Business Association, Association of shipbuilders of Ukraine ‘UkrSudProm’, Ukrainian Logistics Association, Ukrainian Association of (the Black) Sea Protection against Pollution. Over 250 companies from 19 countries took part in the events of the Forum this year, namely, from Kazakhstan, Belarus, Lithuania, Germany, Austria, Netherlands, Turkey, France, Belgium, Denmark, Greece, Italy, Poland, Slovenia, Uzbekistan, Estonia, USA, Afghanistan. 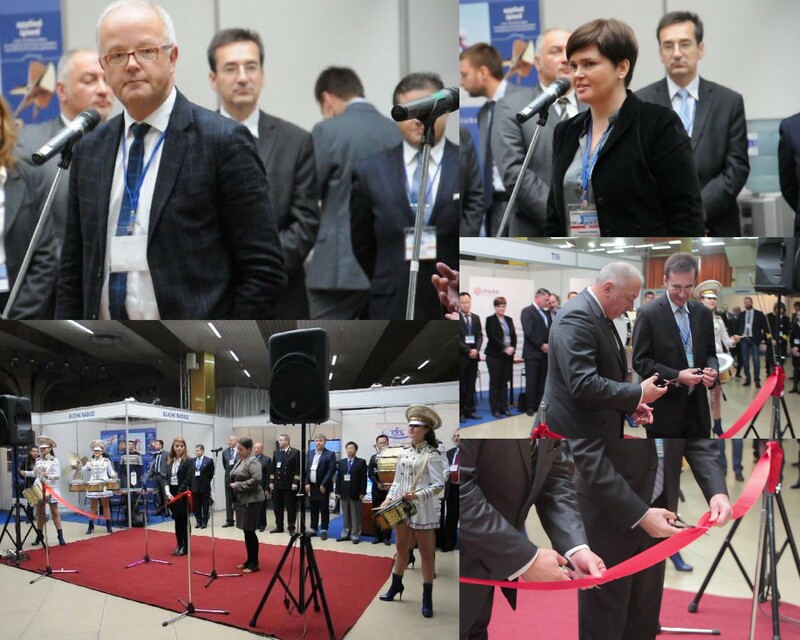 Participants represented all sectors of transport industry – ports, terminals, railway, forwarding agents, shipbuilding and shiprepairing companies, companies offering innovative technologies for transport industry – showing that Ukraine remains a major transit hub. Representatives of the Ministry of Foreign Affairs, Ministry of Economic Development, Ministry of Infrastructure, and transport agencies of the CIS countries as well as of Odessa Regional State Administration, Odessa City Council attested to the importance of such an event for Ukraine and Odessa region by taking part in the Official Opening Ceremony of the Forum. B2B meetings were held with participation of representatives of diplomatic missions of Poland, Slovenia, Uzbekistan, Estonia and other countries. During the transport conference the issues of transport complex of Ukraine in the system of international transport network were discussed as well as guidelines for sea doctrine articulation and development strategy of sea port infrastructure were presented. Special attention was paid to creation of conditions for investment attraction, development of intermodal transportation, linking the Baltic, Black and Caspian Sea, ‘Silk Road’ development. Delegates were introduced to case studies of foreign companies as to implementation of best practices of supply chain security and supply chain management. Ukrainian Association of (the Black ) Sea Protection against Pollution held open hearings within the framework EU ‘Black Sea Basin. Complex modeled governance of tenure of land at the Black Sea estuaries. A top event of the Forum called to contribute to development of Ukraine as marine state was a round table ‘River and ‘sea-river’ transportation: challenges and perspectives’. During the round table sessions the following issues were discussed: challenges and perspectives of infrastructure development of inland waterways for efficient cargo transportation; need for an increase of terminal capacities of Ukraine (grain, LNG terminals), presentation of implemented and new projects; realization of water transport development strategy through state structures partnership and business communities; organization of free access to infrastructure and unified transportation rules, implementation of integrated river communication systems as a precondition for realization of transport potential of inland waterways; international projects on development of river navigation (the Danube, Dnieper, Southern Buh rivers). On October, 21st a round table: “Recent developments in the container shipping market and their integration into regional and global trends” was held (Moderator: CLAU). Representatives of container lines, container lines operators, and container manufacturers took part in the discussion. Order 491 for shipowners and container lines: working experience after its implementation, positive consequences and advantages, proposals for improvement, port fees and fee reduction project by the Sea Ports Administration of Ukraine and Ministry of Infrastructure, amendments to Order 316 of the Ministry of Infrastructure of Ukraine, world practices of container shipping market development and perspectives of its implementation in Ukraine, case studies of foreign companies as to implementation of best practices of container shipping; incorporation of intellectual transport systems into container lines operations. Parallel to the round table on container transportation there was held a round table discussion “Transportation of project and hazardous cargoes. Existing challenges and ways to overcome them under support of State Research and Development Institute of the Merchant Marine of Ukraine. 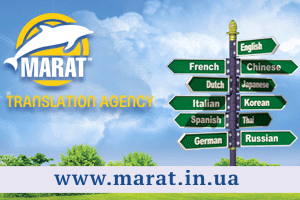 State regulation, ecological risks and international and national legislature applicable to project and hazardous cargoes transportation, international rules of project and hazardous cargoes transportation, particularities of its implementation in Ukraine. Improvement of training quality of personnel and officers as a requirement for successful employment of Ukrainian seafarers, attainment of the first working qualification and perspectives of cadetship programs in order to meet qualifying requirements, simplification of certification procedures and compliance with Manila amendments of International STCW Convention. This year within the framework of the International Black Sea Transport Forum the International business forum “Ukraine and the World: New Dialogue” was held. Main issues under discussion: State support of Ukrainian export and realization of legislative initiatives, establishment of new trade policy of Ukraine in the context of EU integration, particularities of export and import operations with EU countries and other regions Business Forum organizers: Ministry of Foreign Affairs of Ukraine, “MediaCompas Ukraine”, SE “Derzhzovnishinform” Business forum was held under support of the Ministry of Economic Development and Commerce, Exporters’ Club of Ukraine, MBA SIC Academy, Department of trade and investment promotion of the Embassy of Poland to Ukraine, Ukrainian Polish Chamber of Commerce, American Chamber of Commerce, Center of Polish Ukrainian Cooperation, International consulting group, European Business Association. Holding of meetings in parallel working groups is called to gather representatives of transport sector, exporters and importers (both Ukrainian and overseas) on one site for them to have an opportunity to discuss further business opportunities. Our company extends its sincere gratitude to all governmental structures, associations and public associations for the support and assistance in the organization of the Forum. Our special appreciation goes to the General Partner of the Forum - a major group of container terminals TIS, official partner - Intertelecom company, official travel agent – Aqua Vita, our permanent tourist partner - Navigator tourist agency as well as our partners of international business forum ‘Ukraine and the World: New Dialogue’ – Ukreksimbank, UniversalBank, Lavrinovich and Partners Law company. We welcome all interested parties to cooperate.